As the time has come to almost safely accept Nintendo's Gamecube as a retro machine, here's a Gamecube & Game Boy Player eBay auction. 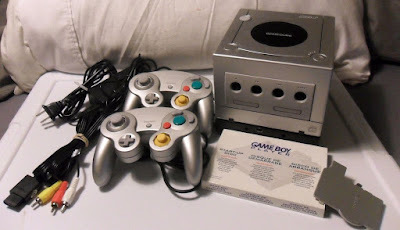 It includes a silver Gamecube console, the GameBoy Player and its software, two controllers, a power adapter, and composite cables. And, yes, the Game Boy Player will let you play Game Boy, Game Boy Color, or Game Boy Advance on your TV, allow for some interesting enhancements, unlock special modes in a selection of games, and even let you use your GBA as a controller.